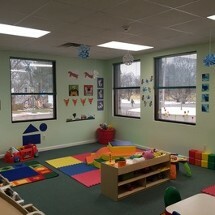 Park Ave Day Care East affordable child care in Fairport, NY, is a family-owned-and-operated day care center established by Judi Ludwig and her daughter, Chandra Martin. Judi Ludwig opened her first center, Park Avenue Day Care Center, in Rochester, in September of 1981. Judi has a Bachelor's Degree in Elementary Education and a Bachelor's Degree in Special Education from the Rhode Island College of Education. She has more than 35 years of experience as a preschool teacher, director, and administrator. Chandra has a Bachelor's Degree in Psychology and a Bachelor's Degree in Sociology from Nazareth College. She has more than 18 years of experience in child care. Currently, she is the director of our center. At Park Ave Day Care East, we respect the individuality of each child. We provide developmentally appropriate activities for all the children in our care through our early childhood education and development programs. All of our teachers are sensitive and responsive to the children and their families. They have specialized training in early childhood education and child development and have practical experience in teaching young children. They have all met or exceed the qualifications required by NYS Office of Children and Family Services. Our center is licensed by the New York State Department of Social Service. We have a license capacity for 99 children between the ages of six weeks and 12 years. Contact us now in Fairport, New York, and learn what our day care center can offer your child.